Did you know that as you get older, your body changes in such a way that you will likely experience more medication side effects? In fact, one in six adults over the age of 65 will likely experience a harmful reaction to a medication. 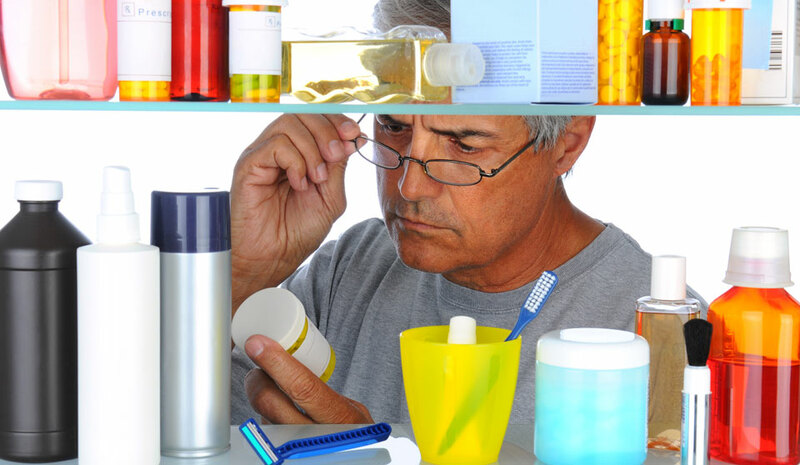 That is why it is important to try to organize your medications appropriately to reduce the risk of serious injury. It is also important to understand what medications you are taking and eliminate duplicate medications if possible. As people age, the number of prescription drugs they take increases dramatically. 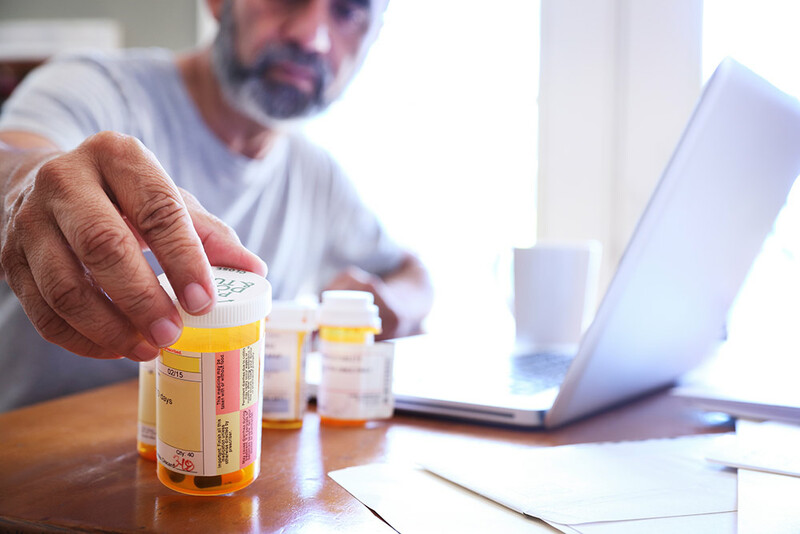 According to the Huffington Post, seniors between the ages of 65 and 69 take an average of 15 prescription drugs per year, while those between the ages of 80 and 84 take an average of 18 prescription drugs per year. Even those as young as 45, take an average of four different prescription drugs per day. The problem with taking multiple medications is that each prescription medication has specific side effects, and, when taken together, those side effects can be significantly exacerbated. Problems with balance and cognitive abilities. Many prescription drugs can lead to balance issues, most particularly those prescribed for depression and nerve pain. Sleep aids, sedatives, and tranquilizers can also cause balance issues in the elderly, increasing the chances of a serious fall. These prescription drugs can also result in confusion and other cognitive issues. Memory problems—Benzodiazepines (anti-anxiety medications, such as Valium, Xanax, Ativan, etc.) are not only habit-forming, they have been associated with memory problems and even the development of dementia. Some non-benzodiazepine drugs, such as Ambien, Lunesta, and Sonata, (usually prescribed as a sedative or for sleep) have also been associated with impaired thinking and balance, memory issues and dementia. Higher Alzheimer’s risk—Those taking a group of drugs known as anticholinergics, can have a higher risk of developing Alzheimer’s Disease. Over-the-counter sleep aids as well as some other drugs such as Benadryl, Nyquil, Tylenol PM, Ditropan (for overactive bladder), medications for vertigo and motion sickness, (Meclizine, Antivert and Phenergan), muscle relaxants, such as Flexeril, and older antidepressants such as Elavil, all fall under the anticholinergic umbrella. Problems with persistent symptoms despite prescription drug treatment. Many doctors will start an elderly person on a drug for a specific symptom, then neglect to follow up with the person to determine whether the drug was effective. This means the elderly person may continue taking the drug—usually at a significant expense—even though it is not having the desired result. Drug interactions can be deadly. Today’s physicians can get so busy they simply do not take the time to determine whether the prescription drugs taken by an elderly person can be interacting with one another. Warfarin, a commonly-used blood thinner can interact with many other drugs, antibiotics, and even some foods. If you are currently taking many different medications, it is important that you make a comprehensive list of all medications, including “natural” supplements and OTC drugs, then look each one up to determine the possible side effects and potential interactions with other drugs. It is also important to organize your medications to prevent accidentally overdosing or combining the wrong medications. Purchasing a pill organizer like the Sagely Pill Organizer is one of the best ways you can do this. Medications can be stored in compartments according to days of the week, as well as times of the day. Once you have your organizational system in place, set a schedule for when you will take your medications. If you need a reminder, consider downloading the Sagely pill organizer app (iTunes, Google Play) or setting your phone to alert you when it is time to take your medications. Remember to keep your pill organizer out of the way of children and in a safe but accessible location. Let the outdoors in. 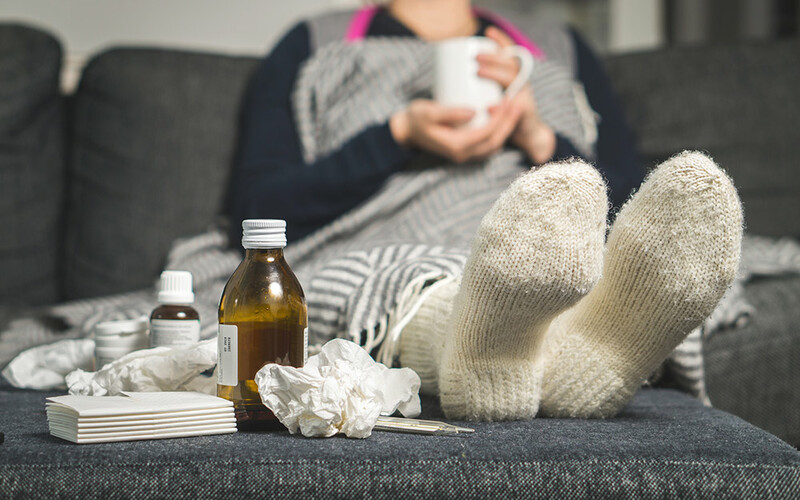 We know it’s chilly but try to open up your doors and windows on a regular, consistent basis throughout the season to allow fresh, clean air to circulate through your home and help clean out germs, dust and irritants. 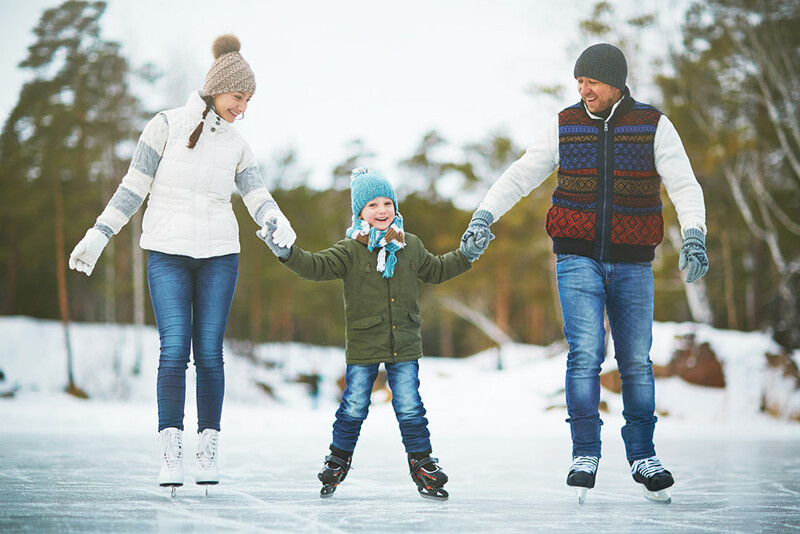 Pick a sunny time of day when the family is out and about and throw on a parka if you need to while you throw those windows open to give your interior a much-needed breath of fresh air. Keep that air healthy. Once you do let in some good, clean air, keep it healthy with a humidifier that ensures moisture levels are optimal to protect your skin and senses from the harsh winter cold. Beauty bonus: Maintaining an adequate humidity level in your home can help with the appearance of fines and wrinkles! But proceed with caution: the EPA recommends you keep your humidifier levels at 50 percent to make sure things don’t get TOO humid, which can become a breeding ground for mold and dust mites. Test, detect and protect. Use the start of the new season as an annual reminder to check on your home detection devices (smoke alarms, carbon monoxide detectors) and to test for harmful gases like radon that can seep in through foundation cracks without warning. Take an afternoon to check all your devices and run a few important tests to ensure your home is safe while you buckle down in it for the season. A sweep is as lucky…as lucky can be. 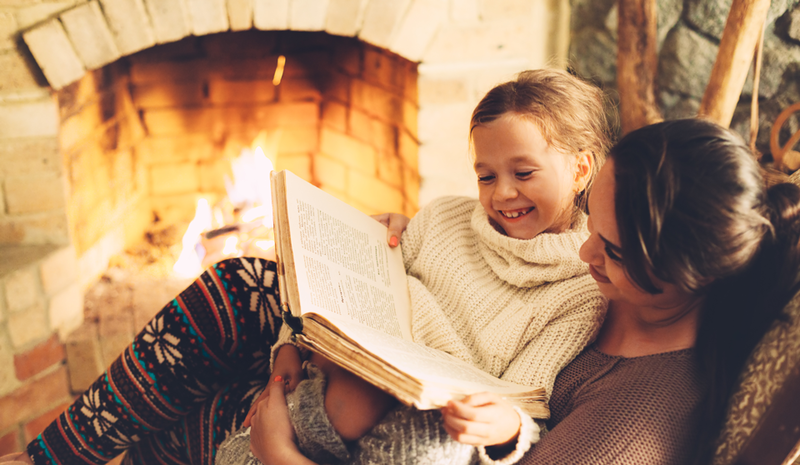 If you’re like us, you love a roaring fire during the cool winter months and it’s important to keep your chimney safe and clean to avoid accident or injury. If you use it often, have it cleaned every year before the temperature drops too low to make sure there is no build-up or debris in there that can spark and start an unwanted blaze. Leave home improvements on your to-do list. Winter isn’t a great time to paint a room, caulk a bathroom or re-tile a backsplash. All the chemicals and fumes from common home improvement jobs won’t have anywhere to circulate and clear out if the home is insulated for the season so sit back, relax and save your major home improvement projects for the spring. That fireplace is calling your name, after all. Wishing you and yours a healthy, happy holiday season. We know that taking medication on an empty stomach is often a bad idea, thanks to the warning labels that heed us to proceed with caution…and a full belly. But did you know that vitamins and supplements can often come with the same unsettling side effect? Multivitamin labels often advise – albeit in more subtle ways – that you should also take them on a full stomach or with food to avoid effects of nausea and stomach upset. Copper and iron are common culprits when it comes to stomach sensitivities and vitamins with high acidic properties such as Vitamin C and Vitamin B can cause problems as well. Some multivitamins are also so high in seemingly innocuous vitamins like A and E that those elevated doses can also lead to nausea when taken on an empty stomach. In addition to combatting tummy troubles, taking vitamins with food can help maximize the effects of your daily dose. Your body’s ability to absorb various nutrients elevates – sometimes up to 70 percent! – when they are taken with food. By increasing the amount of stomach acid in the digestion process, popping a pill with food lets the acid break down the compounds of the vitamins to make the nutrients easier – and faster – to absorb into your system. 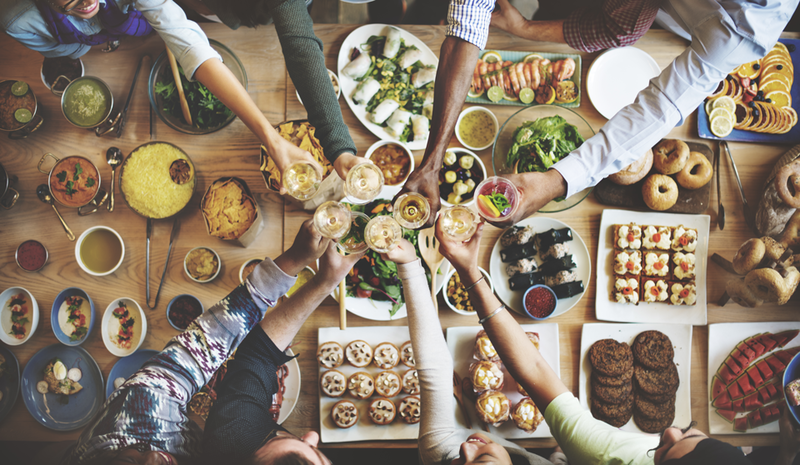 Consider it an express lane to good health AND a happy tummy. Turmeric is a spice that comes from the turmeric plant that grows wild in the forests of south and southeast Asia and is commonly used in Asian food, curry or to flavor things like mustards, butters or cheeses. But it’s not just turmeric’s flavor that makes it stand out, it’s its color as well. The spice contains a vibrant yellow-colored chemical called curcumin, which is also often used to color foods and cosmetics. Turmeric is considered auspicious and holy in India and is often used for wedding and religious ceremonies there. Turmeric has been found effective in treating, among other things, arthritis, heartburn, joint pain, stomach pain, Crohn’s disease and ulcerative colitis, stomach bloating, loss of appetite, jaundice, liver problems, and more. 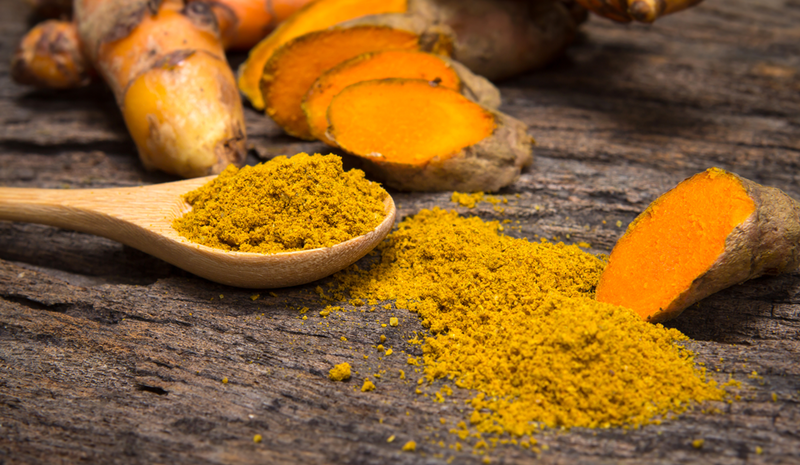 Studies on turmeric intake now also point to its potential for improving cognitive function, blood sugar balance, and kidney function, as well as lessening the degree of severity associated with certain forms of arthritis. You don’t need much of it to reap potential benefits – as little as 1200-1800mg per day in supplement form is beneficial and 1-3g per day of dried, powdered turmeric (the spice you commonly find at the grocery store) can work wonders! Dried turmeric powder should kept in a tightly sealed container in a cool, dark and dry place. Fresh turmeric rhizome (root, now more widely available in grocery and specialty stores) should be kept in the refrigerator. Strength in spices! Turmeric used in combination with black pepper, which contains piperine, improves turmeric absorbability throughout the entire body. Tea-time is a key time! Turmeric tea has become wildly popular for its spicy, warm, earthy flavor and is often referred to as “Liquid Gold.” We like this simple recipe for a perfect cup. The first “r” is silent so pronounce it “too-meh-rick” when you go to stock up at the store. 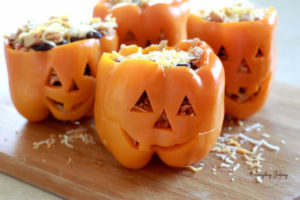 5 Healthy Halloween Treats – No Tricks Included! 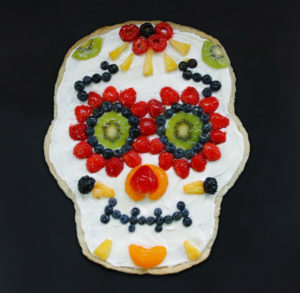 Day of the Dead Skull Fruit Pizza – put a seasonal spin on your usual fruit salad with this Day of the Dead inspired fruit pizza. A homemade sugar cookie crust is topped with fresh, colorful fruit for a lighter spin on your usual sweet treats. Shredded Chicken & Rice Stuffed Peppers – turn your peppers into party-worthy pumpkins packed with shredded chicken, rice and diced tomatoes. A healthy, hearty treat to make up for all those candy bowls. 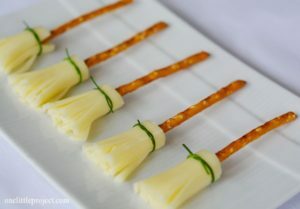 Cheese & Pretzel Broomsticks – we love these simple, protein-packed broomstick snacks made from string cheese, pretzel sticks and chives. So easy and so cute! Frankenstein Apples – speaking of simple, these Frankenstein apples are a two-minute treat that will wow your little ones. 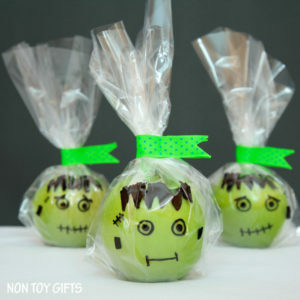 Simply tie up some green apples in small cellophane bags, decorate the bag with a Frankenstein face and tie them up! 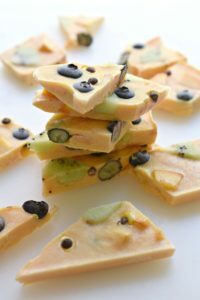 Halloween Yogurt Bark – yogurt bark is always a snack favorite around here and this googly-eyed twist on it is perfect for the spook-filled weeks ahead. Get your littles in the kitchen to help you decorate so they can see (no pun intended) that the holiday can be just as fun when it’s not candy-filled. Prescription drugs can be lifesavers for many people with medical conditions. But, there often comes a time when you have unused medications around the house. This can be due to changes in your prescription, the medication being out of date, or you no longer needing them. Rather than leave them laying around, it is important to properly dispose of them. Why Dispose of Unused Medications? Besides causing excess clutter in your pillbox, pill organizer, or medicine cabinet, unused medication can lead to accidental exposure by a child or family member, and could also encourage the misuse of certain drugs. Don’t take the risk. It is tempting to flush medications down the toilet or dispose of them in the trash, but that is not the way to go. Medications can be taken out of the trash and misused. Some have suggested mixing the drugs with coffee grounds or kitty litter and then throwing in the trash, but this does not prevent them from being taken out and cleaned up. This is especially dangerous for desirable controlled substances such as OxyContin and highly addictive drugs. Human medications are also one of the leading causes of pet poisoning and usually happen due to throwing meds in the trash. This also puts curious children at risk. Crushing pills to throw them away is risky too for the handler and anyone that could be exposed. Properly dispose of your medications today. It doesn’t take long. A great way to get rid of unwanted medications is through a local take-back program. You can check with your community center or law enforcement centers to see when a program is taking place. The Drug Enforcement Administration can also help you find a collection center to properly dispose of prescription medications. You can use the Controlled Substance Public Disposal Locations search to find your most convenient location. You simply put in your zip code or city and state, the distance you are willing to travel, and click search. If you do not obtain a location close to you, you may also try contacting local pharmacies or nursing homes to see how they are disposing of medications. Mail-back programs are another option if you do not have a local take-back program. April 30th is National Take Back Day dedicated to awareness of proper disposal for unused medications. Learn more and find out how you can participate through the DEA Here. Make the extra effort to dispose of your medications properly and rest knowing that you have not put anyone at risk. You will be protecting the environment too. Be sure to save the poison helpline number in case of an emergency. Join the initiative and share this post to bring awareness to this important issue.